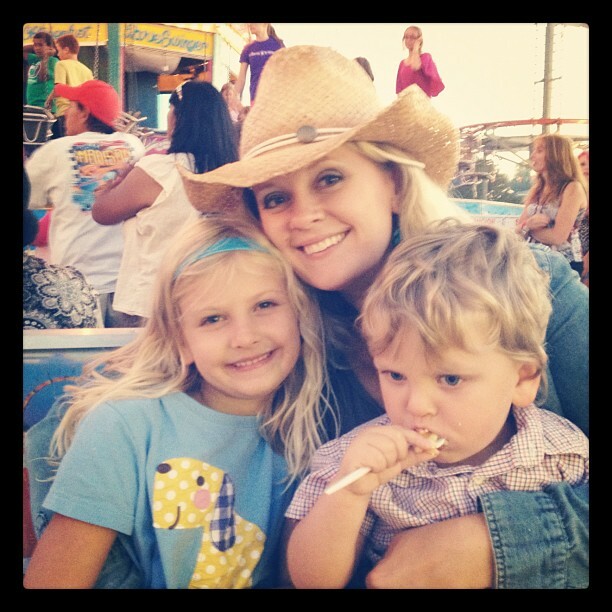 natalie's sentiments: The fair! The place where your husband will fall in love with you all over again. After you get in a big fight of course. 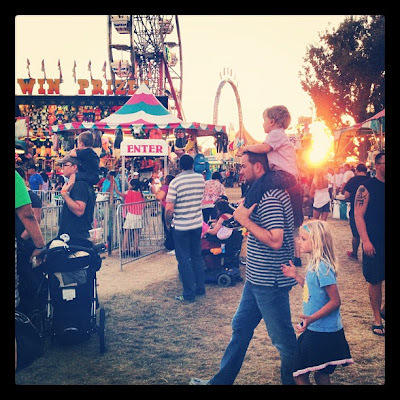 The fair! The place where your husband will fall in love with you all over again. After you get in a big fight of course. We hit the State Fair this weekend. I love the fair. The smell of corn dogs, onion rings and caramel. Some of the best people watching in the world. I did not like that my GPS showed that we were one minute away from the fair for 20 minutes. It took us 90 minutes to drive the 7 miles from our house. I was unaware that Styx was playing. I also kind of hated Shane during that last 20 minutes of driving cause I had asked him to get home from work early so we could leave before rush hour. He kind of hated me for bringing it up a bunch of times. But then after forever, we finally made it. 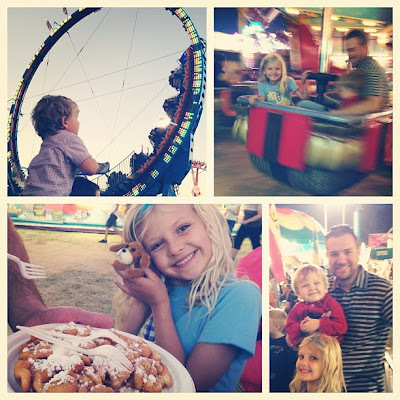 Funnel cakes, a couple rides and one game that won Lydia a teeny tiny dog. All for $50! What a bargain! That's okay. It's the fair! One of the only places I can wear my straw cowboy hat and a denim shirt besides the rodeo! I know. It still doesn't really work. When we finally made our way out of the fair it was 10:30. Unfortunately that was the same time that Styx stopped playing. I hate Styx. We were in the worst possible part of the parking lot. The traffic was at a total standstill. We were looking at probably an hour just to get out of the lot. That's when I spied the pad locked gate blocking us from freedom. "Shane. 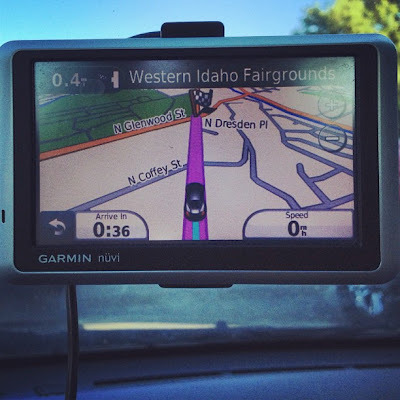 Go get the car and drive this direction this very slowly." I then somehow convinced a couple guys to help me break open said gate and cut off the rope blocking our way to the street. I enjoyed lots of screams of joy from nearby cars. But my favorite was the look of awe from my admiring husband. Ooh, I love fair season! I'm eager to hit up a nearby one at the end of September. It brings back so many childhood memories. And I never would have guessed that Idaho had rush hour! We went to the fair too. Next year you should go on Mondays, it is family day. 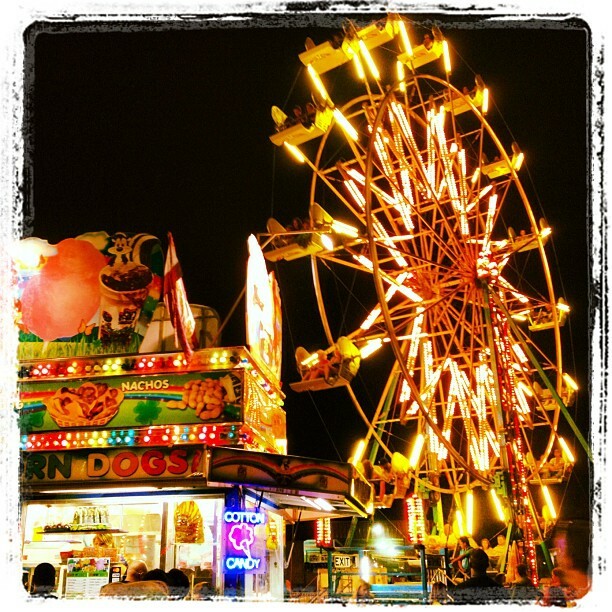 Rides and entrance fees a little better priced then the rest of the days of the fair. And no concerts play that day either. An added bonus if you don't like the particular band playing.